I haven't posted in over a year! I should be ashamed but life has just taken over! I did start a post in June and another in October. Here is an edited and added to version of those. Obviously, my resolutions fell by the wayside once again. 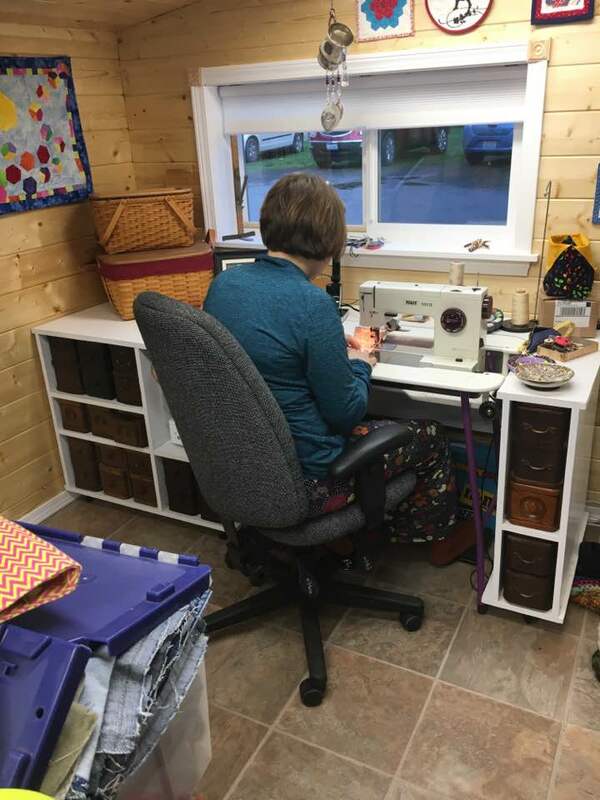 I have spent a little more time in the sewing room but not a lot. That little boy is just more interesting than sewing most of the time! Hard to resist him. In January I had the metal plates and screws taken out of my ankle as they seemed to be causing me discomfort and loss of motion. The surgery went well and everything would have been great but the whole family then came down with a stomach bug for several days and it also went through the staff at the church/daycare where I work. Everyone's health improved eventually but it meant for some long days at work. In February we had a few nice days and I was inspired to order some metal raised beds for my garden. Unfortunately the weather seemed to work against me and I didn't get them put together until mid April. I love them and have more to put together when we get some time this fall/winter so they are ready for next spring. We had a strange growing season this year where some things did really well (apples, strawberries, raspberries) and other not so well (carrots, squash). I look forward to seeing what next year will bring. On April 1, my husband and I celebrated our 34th anniversary on a jet, heading for China. We spent 2 weeks with our son seeing the Great Wall, Summer Palace and Ming Tombs in Beijing, the Terra Cotta Warriors in Xian, the pandas in Chengdu along with many other sights. Jakob left for China Sept 1, 2015 for a year to teach ESL in Chengdu. When we got there we found out he was applying for and has since been accepted to and started grad school at a university there. We had an amazing trip and a wonderful time with Jakob. I don't know what I expected but China was totally different from any place I have ever been. 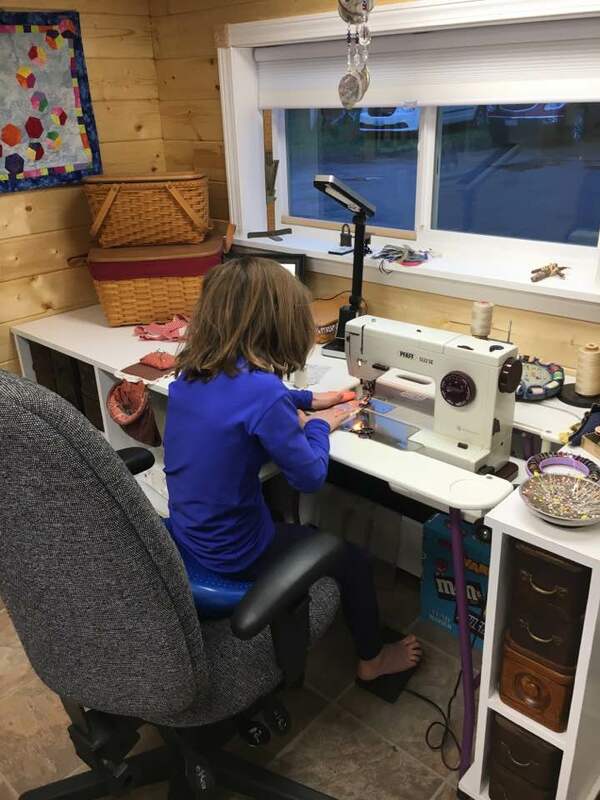 Thanks to his sister, my husband has been 'inspired' to create a new sewing space for me. He is even willing to give up some of his space in the garage for it! He spent a month or so emptying his 'treasures' from the lean-to--a dirt floored area that started out as a place to feed the cows more than 50 years ago. Then it needed a new foundation and the building began. It was a group project with help from my oldest daughter and her husband as they sold their home in Idaho and moved to this side of Washington in June. Their incentive was being able to move into the house once my sewing stuff moved out. I was moved out there in October and love it! I even made several Christmas gifts in those two months! It was a wild six months with 4 extra people, one extra dog and two cats around. They found a house only about 7 miles from us and moved in officially on Christmas Eve. We even all celebrated Christmas at their house the next day. The new year has begun and I am fighting a bad cold thing which might be a version of the flu but I am hoping to be over it soon as my husband and I head to Nicaragua in just 4 days for a medical mission trip. I hope the new year finds you all healthy and busy in your sewing spaces and I will leave you with some pictures from my year. 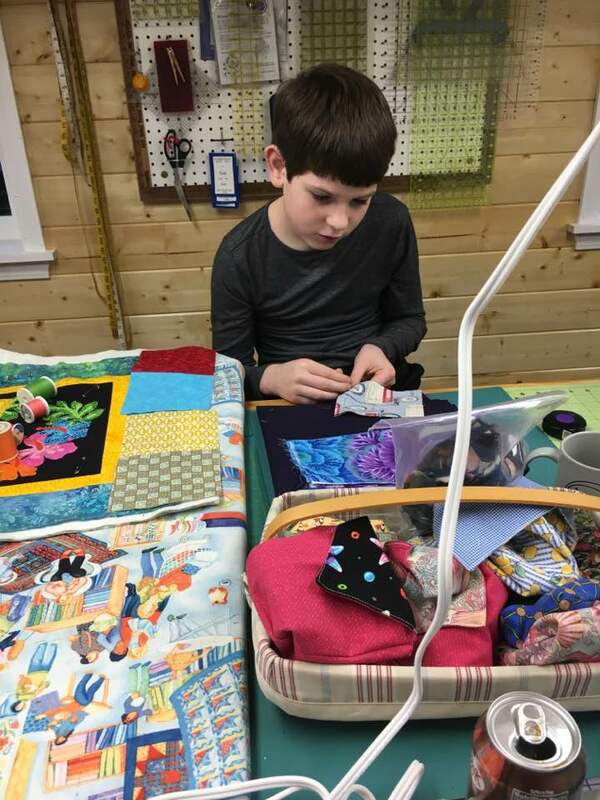 My 11 year old grandson doing some hand sewing. 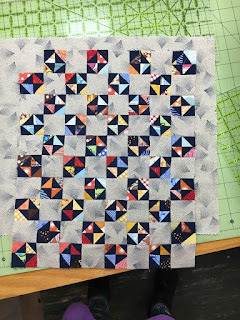 some squares together on the machine. 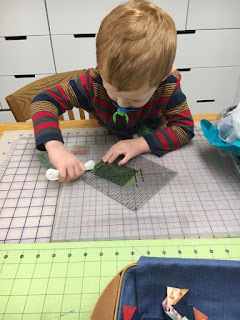 'rotary cutter' at the cutting table. 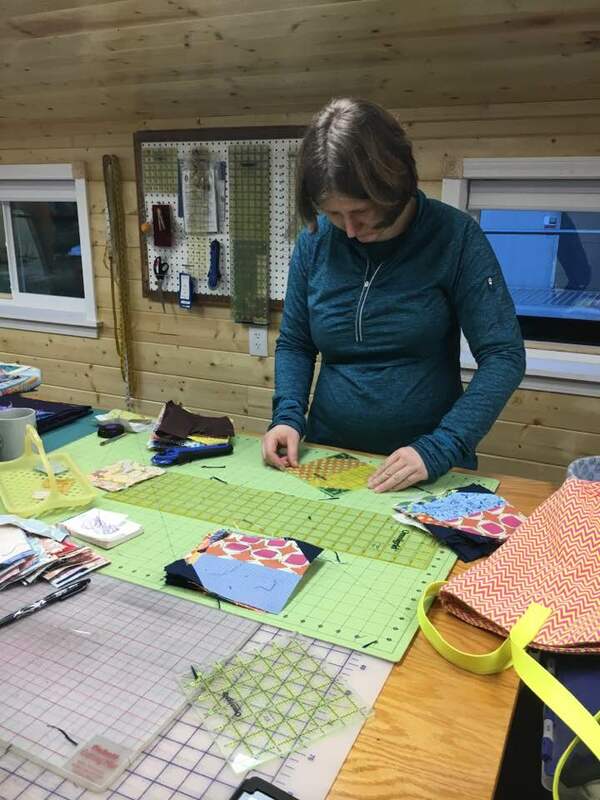 One of my first sewing projects in the new space. Made from leftover triangles from my daughter's project . 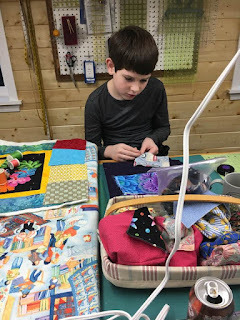 Oldest daughter working on a quilt. My first grouping of raised beds - more to be added this spring. Creating the forms for the foundation of my sewing space. Fabric all sorted in the drawers. Fabric storage with old sewing machines for decoration. my mom's cigar box notion organizers. I inherited both! 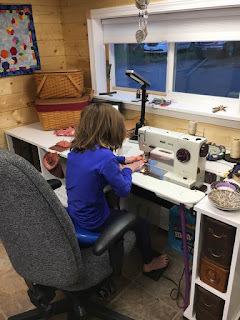 my Sew-Ezi table using treadle cabinet drawers. Other end of the cutting table with my ironing board on it. My son's birthday dinner with friends. Terra Cotta Warriors - this place is massive! Just beautiful. 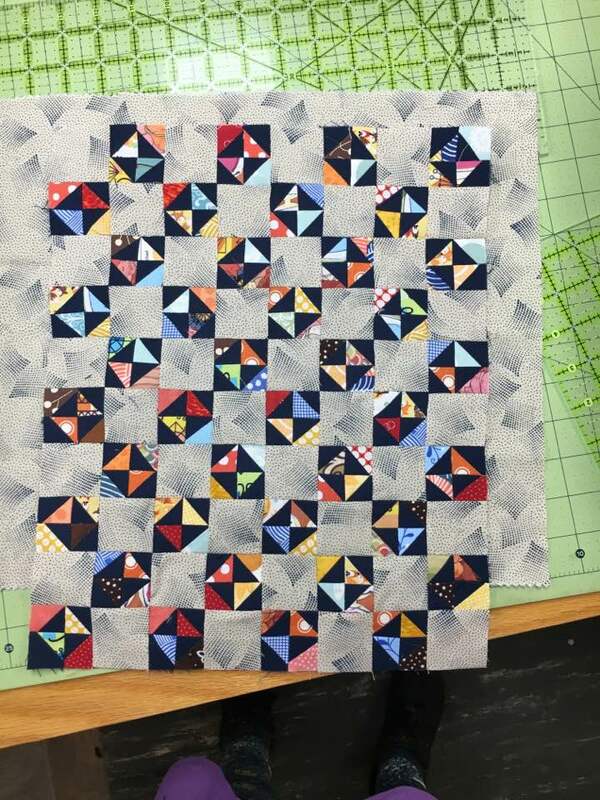 Someday I will make a quilt inspired by this. In front of the Wild Goose Pagoda in Xian. Little Robert is one of his students. Beautiful pictures. It's so nice to see your space since I can't be there in person. Wow! I love your fabric storage drawers.